From "DON'T CALL ME STUPID!" 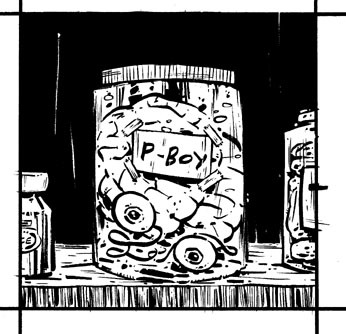 This panel replaced an earlier, sunnier vision of the P-Boy's future. @ 4 x 4", ink/paper.